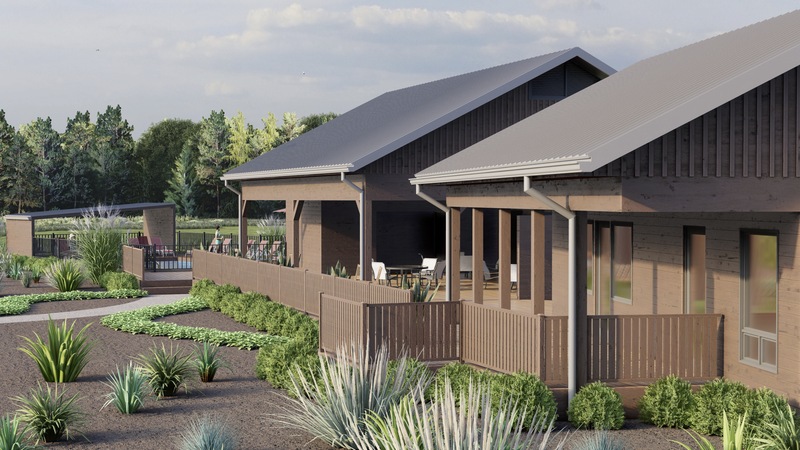 Simple Life tiny house communities are designed to allow homeowners a living experience that extends beyond the walls of their own home. Explore some of the amenities located in our tiny house communities below. 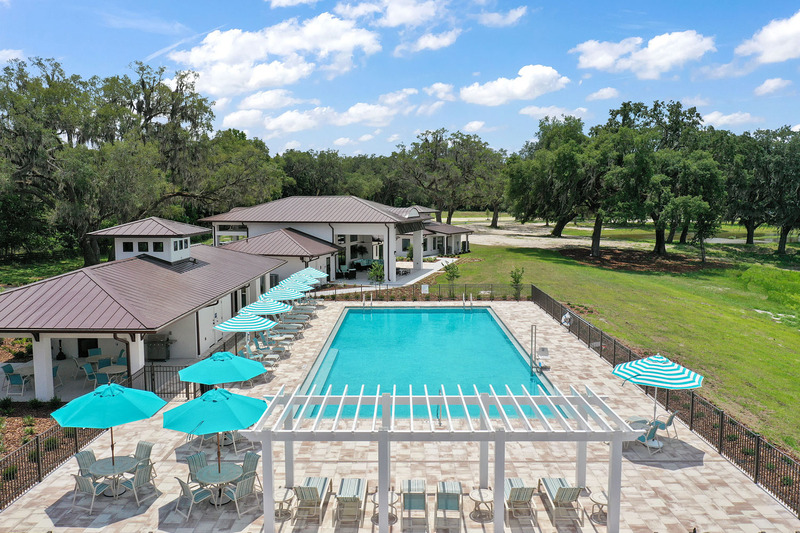 Simple Life residents enjoy exclusive access to these facilities. At 6,000 square feet, the Clubhouse at The Village at Flat Rock, NC is a dynamic gathering space for personal and community growth. The structure includes coffee shop style seating with Wifi and complimentary coffee, a tournament size Brunswick pool table, and a cinema-quality large-screen television with a comfortable viewing area. In addition, the Clubhouse offers a casual dining area where residents can enjoy a meal together or a friendly card game. The Village at Flat Rock, NC has a beautiful yoga room with plenty of windows that let in natural light. The space is a peaceful retreat for meditation, mindfulness, stretching, and other restorative exercises. Yoga blankets, mats, blocks, and straps are available for residents' use during class or personal exercise. Yoga classes are held regularly by a certified yoga instructor and are a great way to relax, energize, and meet new people! 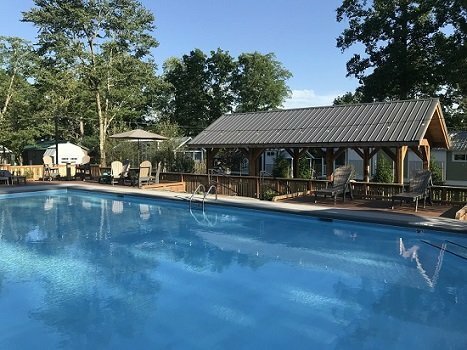 The Village at Flat Rock, NC has a classic swimming pool that stays open from 8 AM to 9 PM for exercise and enjoyment! The surrounding pool deck is made from heat resistant, grip material for safe recreation by all ages. Fun fact: our Simple Life lounge chairs, high tops, and tables are made from recycled soda bottles – great for the environment and comfy to enjoy! The pool is bordered by men’s and women’s restrooms with large showers, changing rooms, and restrooms. The Village at Flat Rock, NC promotes an active lifestyle with an easy to use fitness facility open to all residents. Available equipment includes cardio machines and a full set of free weights with a weight bench. Tune in to your favorite show while you work out on the fitness facility’s flat screen TV. The post and beam pavilion at The Village serves as a beautiful, outdoor gathering space for residents and friends. A large gas grill is available for cooking out. Seating for 12 or more can be found under the shade of the pavilion’s roof. The pavilion also offers a great view of the Simple Life Bocce Ball court; engage in a friendly game during your next barbeque or picnic! 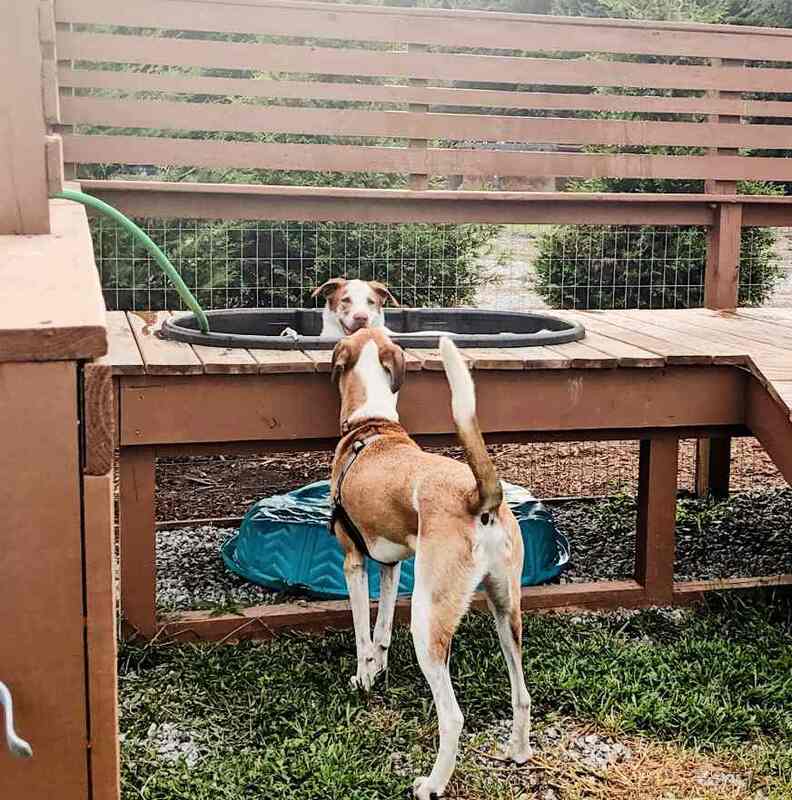 Simple Life communities are pet-friendly! We welcome your furry friends. Our dog parks are always open for your convenience. In addition, all our streets are one way, making it easy to enjoy a walk on the way to the park with little automobile traffic. Simple Life is dedicated to preserving and honoring the natural ecology of the grounds where our communities are built. We work hard to design community layouts that encourage the flourishing of the existing environment while removing invasive species. Our community layouts always allow for green spaces that are perfect for small outdoor gatherings and the beautification and celebration of water. In Hendersonville, NC, we will soon embark on a natural spring and stream enhancement initiative to restore Dunn Creek and its feeder spring, which both exist on our properties. After viewing some of our homes, select the floor plan and layout that fits your needs most appropriately. Depending on the style you select, reserve your new home with us by placing a deposit on your purchase.